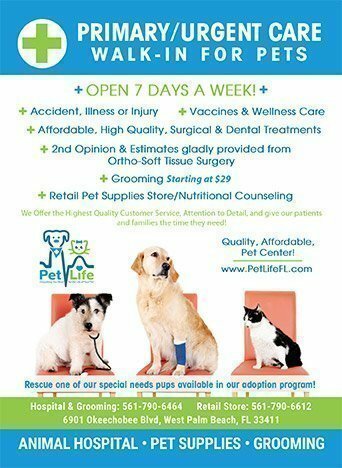 What makes PetLife Animal Hospital in West Palm Beach different? At PetLife Animal Hospital we strive to provide the best medical care for your pet and to deliver it with comfort and compassion. Accident? Illness? Injury? It is our commitment to be affordable and available when you need us for veterinary care, supplies or service. We are open 7 Days a Week and most holidays! Call ahead, or just walk-in! 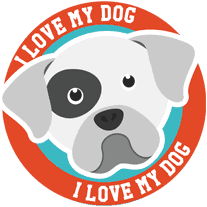 PetLife Animal Hospital provides Primary, Preventative/Wellness and Urgent Veterinary Medical Care. 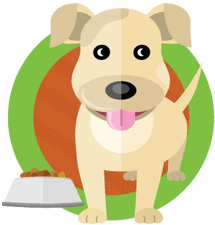 We offer a broad selection of quality nutrition for your pet at affordable prices. Our nutrition expert can help you find the right products suited to the needs of your individual pet. We specialize in Raw Diet, Holistic, Natural food products and treats. Everything you need, for the life of your pet at our very accessible and convenient West Palm Beach location. Come in and feel the difference love and compassion can make.